The Meizu MX 4-core is quite a bit of a shocker. Just like the original Meizu MX, this Chinese smartphone has enough twists and turns to keep you guessing, and interested. There we go, that's one. If anyone expected anything of that caliber to come out of China, their money was most likely on Huawei. The Meizu MX 4-core looks and feels exactly the same as its dual-core predecessor, which is to say, not particularly exciting. Essentially, a cheap plasticky iPhone replica is one of the most powerful smartphones in the market. How's that for a nice surprise? It gets better. Flagships as we know them have plenty of history and experience behind them, hundred-strong armies. 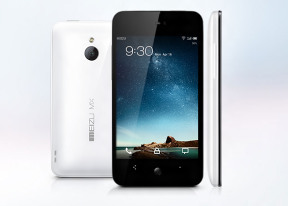 And it took Meizu what, two Android generations and about as many devices to conjure up a quad-core smartphone. And by the way, the Meizu MX 4-core is not your average droid. The Flyme OS is all about keeping it simple, which means some of the features that rivals have are missing. But the core Android functionality is there and at times Meizu is doing impressively well. The Chinese must've put a lot of effort in making the interface look like they barely did anything to it. Yes, Flyme is one of the big and pleasant surprises of the Meziu MX 4-core. We liked its simplicity and its responsiveness, not to mention the few nice tricks it had up its sleeve. What you're likely to miss is the value-adding apps and features of the other Android quad-cores. The Meizu MX 4-core struggles somewhat to keep up on the hardware side too. 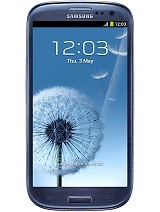 It made it to the Big Four and did so with a bang, but it's still the one with the smallest screen and lowest resolution. Yet, the Meizu MX 4-core is supposed to be the budget option - if there's any such thing as a low-cost quad-core smartphone. The pricing will be make or break and Meizu should really get serious about making its phone globally available. With no streamlined supply, the asking price through random online retailers is ridiculously inflated. The sooner the MX 4-core gets closer to the Chinese price tag of $480 for the 32GB version, the better. This will make the new Meziu flagship a device worth waiting for. You know, an alternative to waiting for the price of a Galaxy S III or an HTC One X to drop..
Whatever happens though, the Meizu MX 4-core deserves respect for fighting its way to the top, for making room for itself among formidable rivals. For being in good company, at the very least. And we mean a bunch that most other phones look at in shock and awe.